Whoever thinks Facebook's main function is social networking is completely wrong. Some time ago, Mark Zuckerberg's company decided to take control of the Internet creating their own Internet within the Internet and for such purpose, they've taken a plunge into the field of communications. Not only through their instant messaging application, Facebook Messenger, that connects users of the social network, but also by purchasing other apps of the likes of WhatsApp or Instagram. 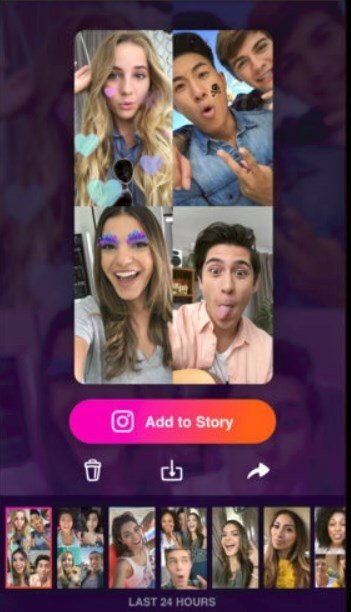 Well, they've now added a new application to their software ecosystem thanks to Bonfire: Group Video Chat, the application to make group video calls between Facebook users. Using the data connection of your smartphone or tablet, and without consuming any data if you're connected to a WiFi network, it allows you to establish video calls with any of your contacts and also with their friends if they invite them. 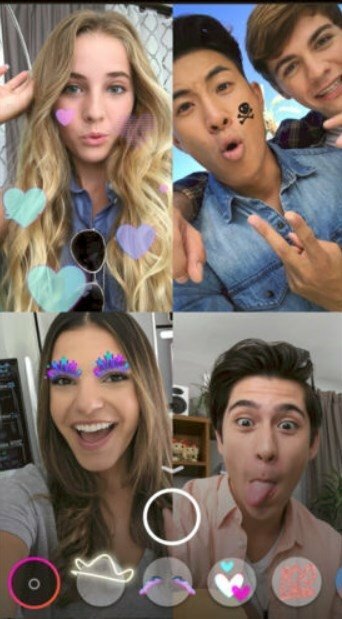 In this sense, it's similar to other video call applications that can include several users at once by splitting the screen to make them all appear. 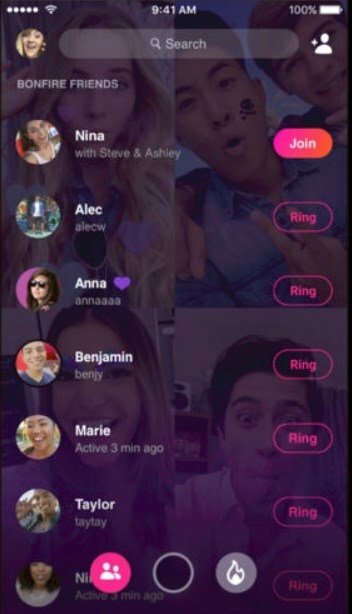 The main attraction is that in this case, your contact list is your group of friends and that you can add different filters, masks, and effects to your calls in real time. Connect with your Facebook friends. Establish video calls with up to 8 participants at once. Check who's ready for a video call or when that person was available last. Improve your expressiveness with filters, masks, and emojis. Take photos and share images on Instagram, Facebook, and Messenger. Use the horizontal mode of your device. Now that you know, if you want to connect with your friends in the funniest of manners, download Bonfire and get together with some marshmallows.